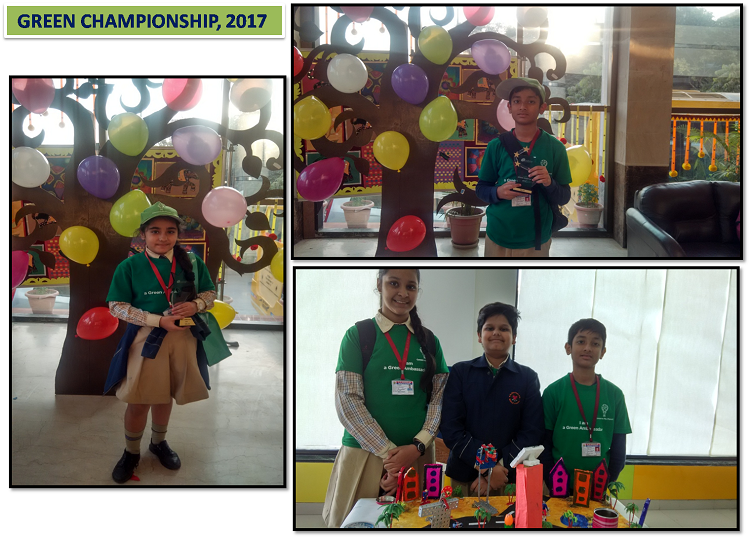 A “Green Championship Event and Award Ceremony” was organised by “Schneider Electric India Foundation” and “Sharp NGO”on 7th December 2017. School champions of all the participating schools displayed their working models based on ‘Energy Conservation’. Mannat Sardana, Class VI A won the First prize for Best Campaigner for “Energy Conservation “ for collecting 3700 signatures during this campaign. Shreyas Kumar, VII A got the School Champion Award.